It’s all about context. In the markets. In trading. In life. Everything. No matter your trading time frame, it’s a sure bet that you can better time your entries and exits by understanding what the markets as a whole are doing when you are considering pulling the proverbial trigger. The studies and indicators in this pack are designed to help you do exactly that, quickly and at-a-glance. 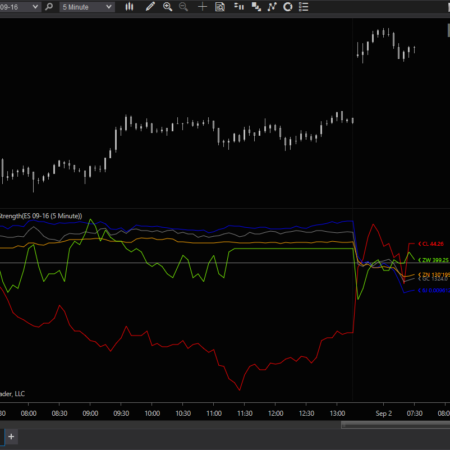 Often, market internals contradict price action in the instrument you are trading. Other times, they confirm. Before placing a trade and literally every couple of minutes throughout the trading day, it can be important check the state of the broader market. Below are some examples of what internals, indexes and other symbols we recommend watching, depending on market conditions. I use the NYSE TICK instead of the S&P500 TICK offered by some providers. 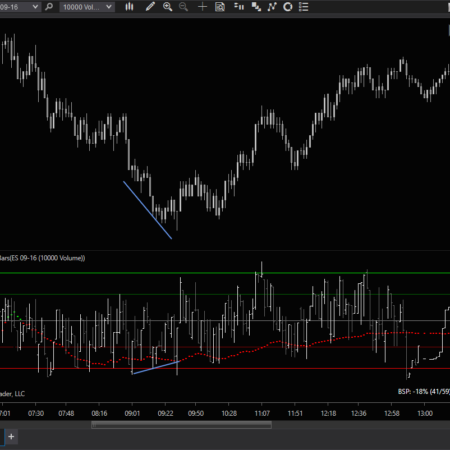 It’s a very short-term measure of market activity and the TICK is highly correlated to moves in the ES. The Dow Jones Transportation Index is a weighted average of 20 transportation stocks. These are the companies that move goods around the country and the world, and they often lead moves in the senior indexes too, even intraday. The CBOE Volatility Index. It’s designed to show the market’s estimation of volatility in the next 30 days. It’s an effective measure even on much shorter timeframes, though. The NYSE Advance Decline Ratio is a pure market breadth index. It shows the number of stocks trading higher divided by those trading lower at any given moment.